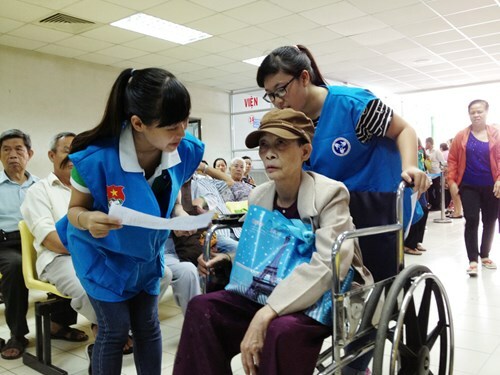 HCM CITY (VNS) — HCM City Youth Social Work Centre's programme on voluntary social work services started to be carried out yesterday at Gia Dinh Hospital in Binh Thanh District in order to provide assistance to patients in the process and procedure of health examination and treatment. The programme also will reduce the workload of medical staff in the hospital. Patients and their relatives will be provided guidance on bus routes. The programme, which also is being carried out in hospitals of Cho Ray, Oncology, and Blood Transfusion and Hematology, is receiving satisfaction from patients and medical staff.